Homework Robot, originally uploaded by alister. 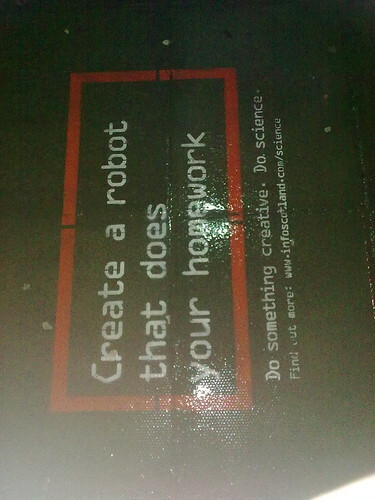 Liked this add for the Positive About Science campaign stenciled or otherwise stuck on somehow to the pavements outside my local school. There were two variants I spotted. The idea seems to be to get kids interested in a science career. Pay attention kids.